WELCOME TO YOUR FUTURE IN REAL ESTATE! 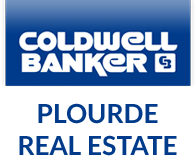 Since 1989, Coldwell Banker Plourde Real Estate has believed that our strength is in our Sales Agents. Start your career with the leading company in the Central Maine Area with the most advanced marketing technology and office support system. It’s easy to get a job in real estate, but it’s much more difficult to make money! As a salesperson working strictly on commission, you need to know that you are associated with a firm that has a strong listings system, superior management support and training, and steady stream of customers in order for you to build your business. We believe that a knowledgeable and confident agent is a successful agent. We invest both time and energy into providing our agents with an easily maneuverable work environment, equipped with everything they will need to be successful in their real estate career. We also provide agents with thorough training in the use of technology giving them an edge over the competition. Coldwell Banker Plourde Real Estate works hard to help you work hard. Come to work with a real estate company that wants to see you succeed, because if you are successful, we are successful! Already a Licensed Agent? Join our Team! Have a License, but don’t want to Sell? If you currently have a Maine Real Estate License, or are thinking about getting your license, and are undecided about what you are going to do with it, contact us about becoming a referral agent. This is your opportunity to be aligned with Coldwell Banker Plourde Real Estate, without having to commit to a full-time real estate career. As a member of our referral team, you can earn referral commissions simply by phoning in your referrals for anyone interested in buying or selling a home – anywhere in the country! Contact us today and join our team!